Hundreds of future Sonoma State University students from economically disadvantaged backgrounds, most of whom would be the first in their families to attend college, will receive scholarships and other vital support for years to come thanks to more than $2.2 million in recent gifts to the university’s Educational Opportunity Program, or EOP. The gifts have come from the Kalmanovitz Charitable Foundation based in Mill Valley; Federated Indians of Graton Rancheria, owners of the Graton Resort and Casino in Rohnert Park; Rodney Strong Vineyards in Healdsburg; and Napa-based Cooperages 1912, representing World Cooperage and T.W. Boswell wine barrels. Expressing her gratitude for the donations, Sonoma State President Judy K. Sakaki said they will strengthen a program that provides transformative educational experiences for students who might not be able to attend college without financial and other support. The gifts are also consistent with priorities President Sakaki articulated soon after assuming the SSU presidency on July 1, 2016. • Kalmanovitz Charitable Foundation – $1.7 million over five years, with much of the money funding $10,000, four-year scholarships for new EOP students. Grants will be administered through SSU’s existing Wine Industry Scholars Program, which was established in February by the University’s Wine Business Institute in the School of Business and Economics. The program extends EOP services to reach more widely into the local agricultural communities, providing college funds for the children of vineyard and other winery workers. It also brings expanded support in order to serve more of SSU’s first-generation and economically disadvantaged students, including programs for juniors and seniors in addition to freshmen and sophomores, as well as help with both academic and career readiness. The money will also fund hiring an additional full-time EOP advisor to support students and one part-time “entrepreneur-in-residence” to develop new curricula focused on real-world skill development and hands-on, project-based learning. 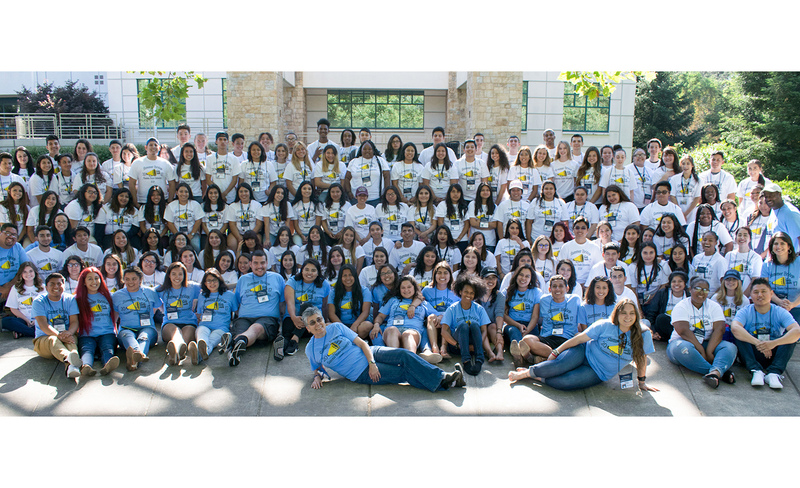 • Federated Indians of Graton Rancheria – $270,000 gift to support the university’s Summer Bridge orientation program for incoming EOP freshmen. Held in June, the mandatory, week-long session helps students prepare for academic and other challenges that can come with being away from home and living on a college campus. • Rodney Strong Vineyards - $250,000 donated last December to create the Rodney Strong Pathways Program, supporting existing EOP services to students. “Partnering with Sonoma State University to create the Rodney Strong Pathways Program to support EOP students in reaching their full potential to become future leaders in their communities is something we hope has an exponential, positive effect in lifting all here in Sonoma County and beyond,” Rodney Strong President Carmen Castaldi said. Khou Yang-Vigil, EOP program coordinator at Sonoma State, said the gifts will be a tremendous shot in the arm for students and the EOP. An EOP student herself when she entered Sonoma State as a freshman, Yang-Vigil readily acknowledges how program staff helped her thrive at Sonoma State, where she graduated in 2006. Earning her master’s degree in student affairs and higher education at Indiana State University, she returned to SSU as a Residential Life Coordinator before joining the EOP staff in 2014. The new financial support means EOP students, many of whom work two or more jobs to make ends meet, can spend more time studying and participating in campus activities, she added. “That’s really important for them to be able to get as much out of their college experience as possible and to graduate in a timely manner,” Yang-Vigil explained.